When it comes to environmental sustainability, Red and White Fleet president Tom Escher is all in. Sandia National Laboratories, which recently signed a cooperative research and development agreement with Red and White Fleet, is helping the San Francisco-based company realize that goal. Named SF-BREEZE (San Francisco Bay Renewable Energy Electric vessel with Zero Emissions), the project aims to design, build, and operate a high-speed hydrogen fuel cell passenger ferry and hydrogen refueling station. Hydrogen fuel cells have several advantages over the diesel engines that power most passenger ferries: no harmful exhaust emissions, higher energy efficiency, quiet operation, and no risk of fuel spills. Replacing diesel engines and generators with hydrogen fuel cells could greatly improve air and water quality in harbor areas. The hydrogen refueling station is planned to be the largest in the world and serve fuel cell electric cars, buses, and fleet vehicles in addition to the ferry and other maritime vehicles. The U.S. Department of Transportation’s Maritime Administration (MARAD) is funding a feasibility study to examine the technical, regulatory, and economic aspects of the project. Sandia is leading the study in partnership with Red and White Fleet, the American Bureau of Shipping, the U.S. Coast Guard, and naval architect Elliott Bay Design Group. Other contributors include the California Environmental Protection Agency’s Air Resources Board and the Governor’s Office of Business and Economic Development. Economic viability is essential to the success of SF-BREEZE. “Rather than a tour boat that would primarily be a demonstration project, Red and White Fleet believes a high-speed passenger ferry makes economic sense,” Pratt says. To compete with existing transportation methods — cars, buses, Bay Area Rapid Transit, and other ferries — the ferry must be fast. But speed adds complexity. A preliminary conceptual study shows the answer is probably yes, but it will require a boat specially designed to accommodate hydrogen fuel and the fuel cell technology. A traditional passenger ferry can’t easily be retrofitted with a hydrogen fuel cell, so it was essential to include a naval architect in the feasibility study. The ferry design will include collaboration with the American Bureau of Shipping and the Coast Guard to ensure the final design conforms to safety and reliability rules and regulations. The boat — design, operation, maintenance, and fueling — is one part of the equation; the hydrogen refueling station is the other. The high-speed passenger ferry would use about 1,000 kg of hydrogen per day. To put this in perspective, an average hydrogen fuel cell car might use less than 5 kg of hydrogen per week. To support the ferry and other potential users, the refueling station would have a capacity of 1,500 kg a day — about twice the size of the largest hydrogen refueling station in the world. It would also be the first hydrogen refueling station to simultaneously serve land and marine uses. Reducing the cost of hydrogen refueling could stimulate the market for hydrogen fuel cell cars and accelerate wider adoption of the technology in other vehicle markets, such as heavy-duty trucks and buses. “This project offers an opportunity to closely examine how hydrogen can take its rightful place as a clean, low-carbon fuel for high-volume transportation operations, and also build the business case as part of an innovative application for fuel cells,” says Catherine Dunwoody, chief of the Fuel Cell Program at the California Air Resources Board. 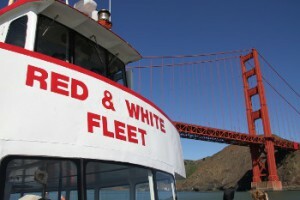 SF-BREEZE will enter new regulatory space, both for the high-speed ferry and refueling station. The feasibility study will examine those regulations and their impact on the project. For the refueling station, Sandia can draw on its technical expertise in developing and optimizing safe, cost-effective vehicular hydrogen fueling stations. The U.S. Department of Energy Fuel Cell Technologies Office funds most of Sandia’s efforts in this area. Sandia is a leading partner in two nationwide infrastructure initiatives: H2USA, a private-public partnership focused on advancing hydrogen infrastructure, and the Hydrogen Fueling Infrastructure Research and Station Technology (H2FIRST), a U.S. Department of Energy project established to support H2USA. If the feasibility study indicates that SF-BREEZE could succeed technically, economically, and within regulations, the next step is to design the vessel. The project will need additional funding, resources, and partners, which could come from the federal government, the state of California, investors, industry, or private foundations. Escher joked that if the project ultimately succeeds, it could hurt him financially. He hopes to continue Red and White’s tradition of leadership and environmental stewardship established by his grandfather, Thomas Crowley, who started the company in 1892.